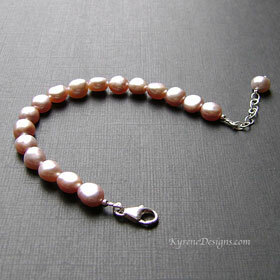 Pretty natural pink gleaming 9mm pearls make up this casual styled bracelet. Great for layering or simply on its own! Sterling silver trigger clasp and extender, fits 'wrist' sizes 6 - 7.5 inches. 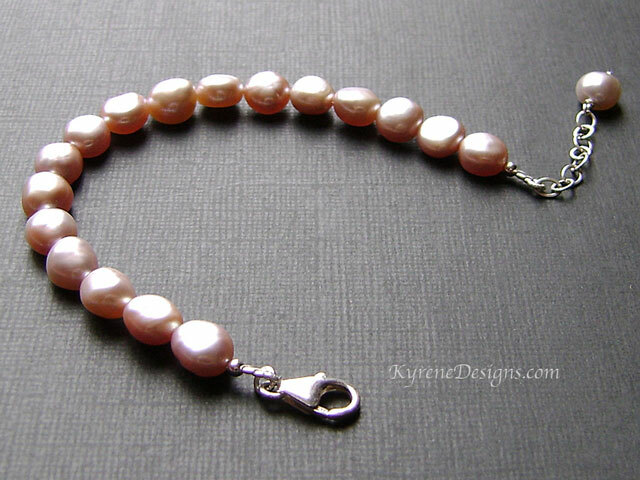 Total bracelet length is 8.75 inches.